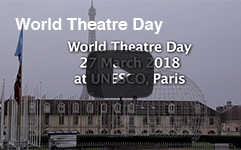 Every year the Executive Council of ITI, in partnership with the Dance Committee of ITI and World Dance Alliance, choses an outstanding dance personality to write the message for World Dance Day, which is celebrated since 1982 on 28 Avril, all over the world. For 2019 Karima MANSOUR from Egypt, the outstanding dancer, choreographer and dance educator, has been selected to write the message for 2019. Movement is a language spoken by us all. Movement is a universal language that belongs everybody If only we open our senses and listen. Listening is what is required, listening without interference, listening without judgment, listening in silence and allowing the movement to pass through the body in the moment, because everything inside us and around us is in motion, constant motion. This is when the body doesn’t lie because it is listening to its truth and manifesting it. Karima Mansour graduated with both a B.A. and a Masters degree in Contemporary Dance from the London Con be performed in various international festivals, as well as more than 20 various collaborations in theatre and film. 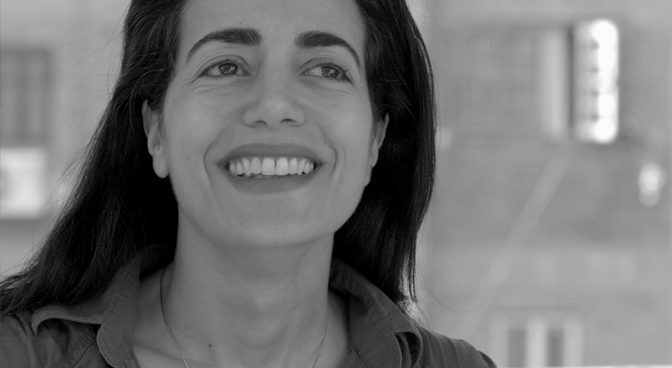 Karima Mansour has also formed MAAT for Contemporarythrough choreographic works and organized workshops, that are taught by Karima Mansour and/or invited guests from all over the world, including dance film screenings and discussions revolving around the topic of dance and choreography. Karimain Cairo (fall 2010). Mansour is current founder & artistic director of the Cairo Contemporary Dance Center (CCDC), operating under the umbrella of MAAT for Contemporary Art. Mansour continues to works as a free-lance choreographer, performer and teacher nationally and internationally while creating, performing and developing her own choreographic work and language as an artist.